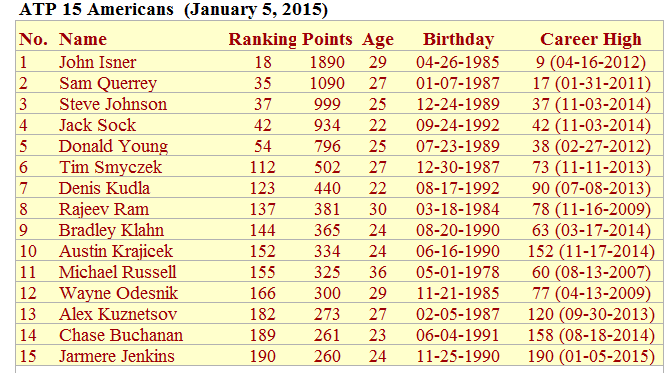 At the start of each month, I will try to update the ATP and WTA Top 15 American and 21&Under Rankings. The January edition is as follow. 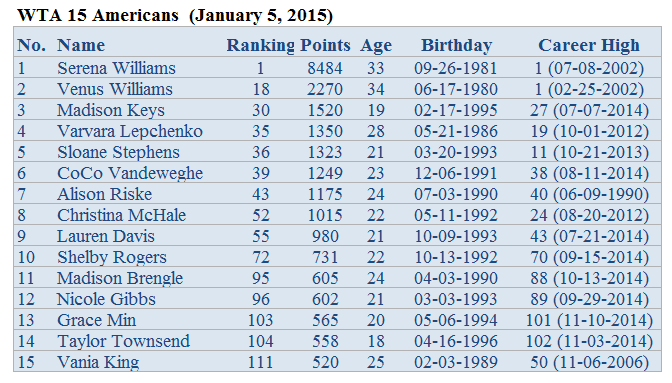 Also included are the Australian Open main draw and qualifying lists.